The EA trades on two Moving Average indicators and allows selecting the method of defining the position size: Manually (having set the Lots parameter to more than zero, and the Risk parameter to zero) or in the risk percentage of free margin per trade (having set the Risk parameter to more than zero and the Lots parameter to zero). 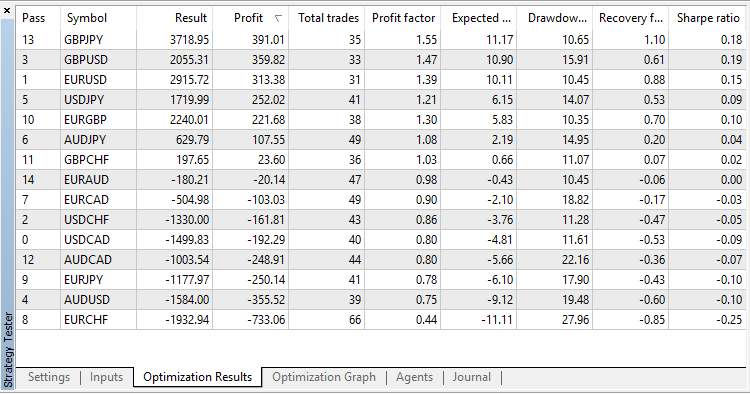 Stop Loss, Take Profit, and Trailing can be enabled/disabled. You can trade within a limited time period (having set the Use Hour Trade parameter to "true" and defined the values of the Start Hour and End Hour parameters).